The purpose of this technical manuscript is to present an explanation of rapid solidification processing in an easily understandable manner so that the technique is widely accepted and put to commercial practice by many working in the industries of materials processing and manufacturing engineering. The comprehensive review article presents a comprehensive overview of the widely accepted and used rapid solidification processes. To better, understand rapid solidification in comparison with conventional solidification, the intrinsic aspects and types of nucleation and the kinetics governing nucleation and subsequent growth of the crystal during rapid solidification are presented and discussed. The commercially viable methods for the rapid solidification processing of metal-based and even intermetallic-based composites are presented. The technically viable methods for the consolidation of rapidly solidified powders are discussed. A succinct description of notable recent advances in the technique of spray processing is presented. 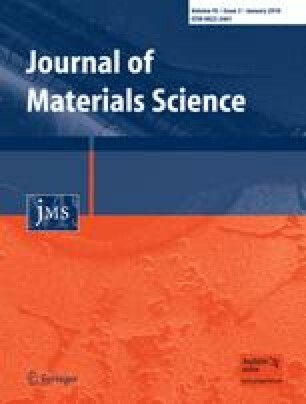 In the last section of this article, we highlight the key findings of selected studies in the area of rapid solidification processing of advanced metallic, intermetallics, and composite materials that have helped to advance the processing technique for emerging applications that is synchronous with advances in technology. The authors (EJL and TSS) extend most sincere thanks, appreciation, and boundless gratitude to the “unknown reviewer” for his useful comments, corrections and suggestions, which have been carefully incorporated in the revised version of this manuscript. One of the authors (TSS) extends thanks and appreciation to Mr. Udaykar, B. for his timely assistance with preparing the figures in conformance with required specification.